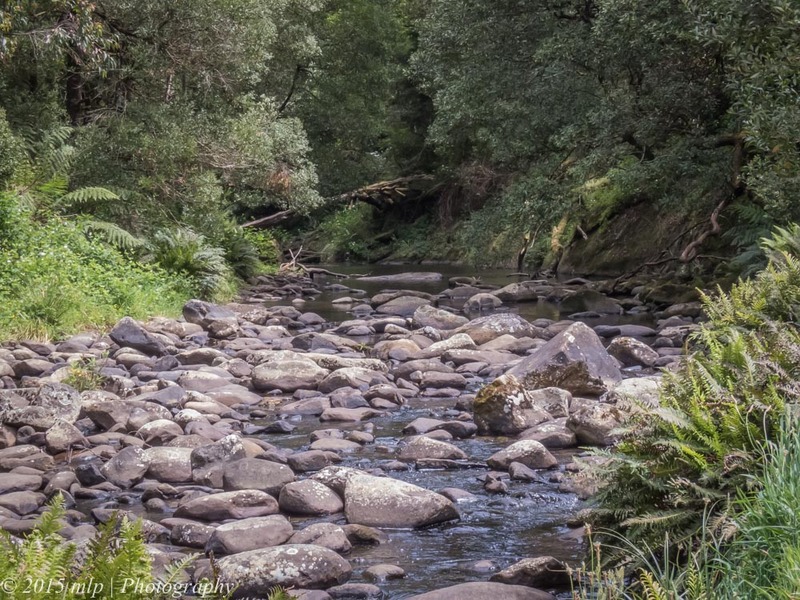 On a recent trip to Apollo Bay, I spent some time exploring the Great Otway National Park. 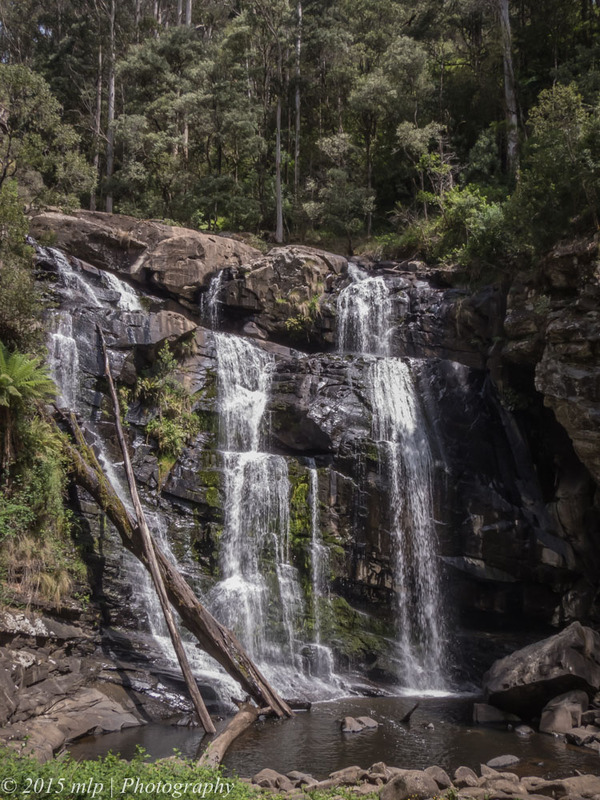 There are a number of waterfalls in the Park including the Stevenson Falls along the Barramunga Creek. 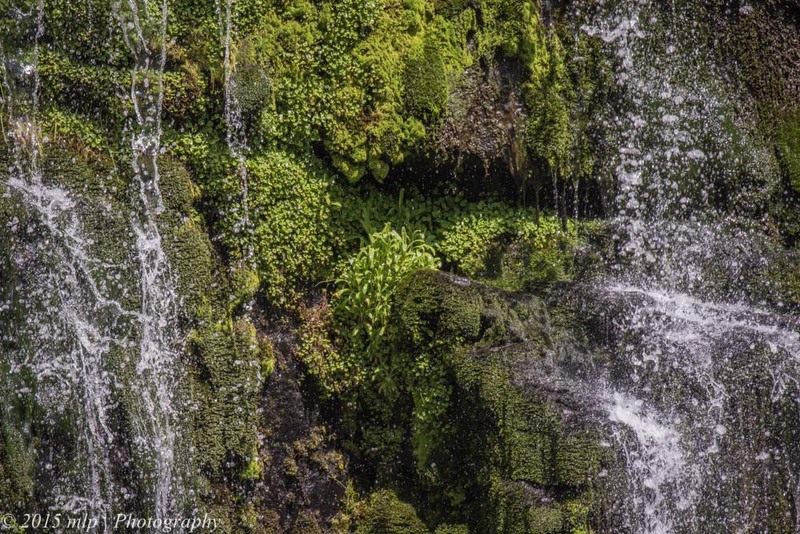 I visited the waterfall several times over a few days. 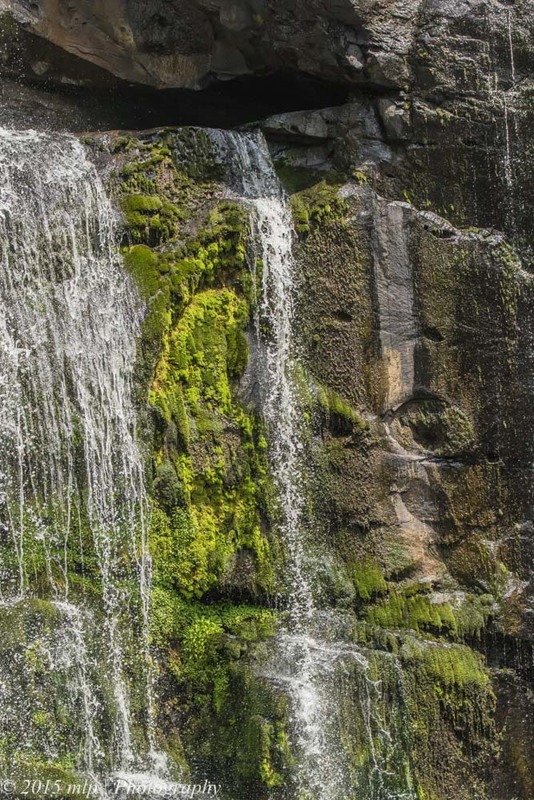 It is a good site for shots of the falls, the green moss and ferns within the falls and for the first time I found a bower of a Satin Bowerbird. 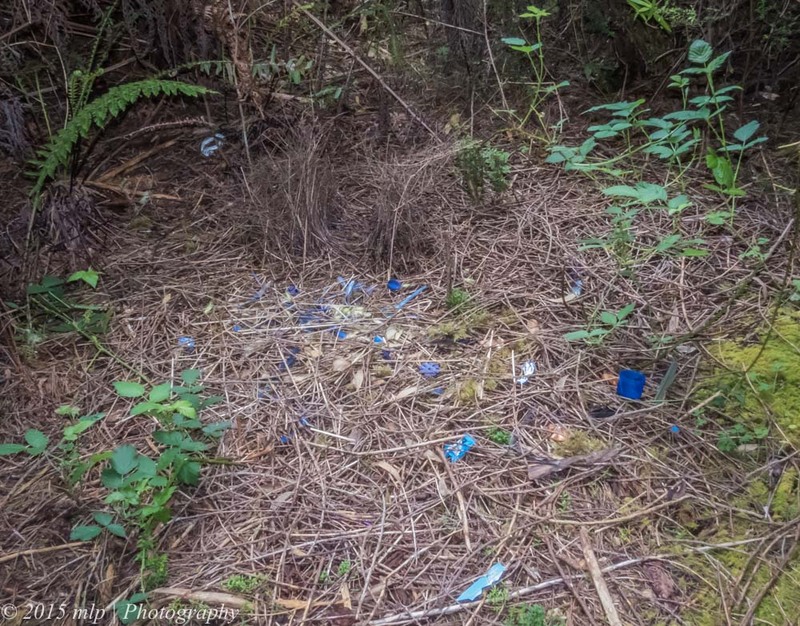 While looking around the forest near the waterfall I found a partially constructed Bower from a Satin Bowerbird – immediately identifiable from the shape and the pile of blue objects collected by the Satin Bowerbird. 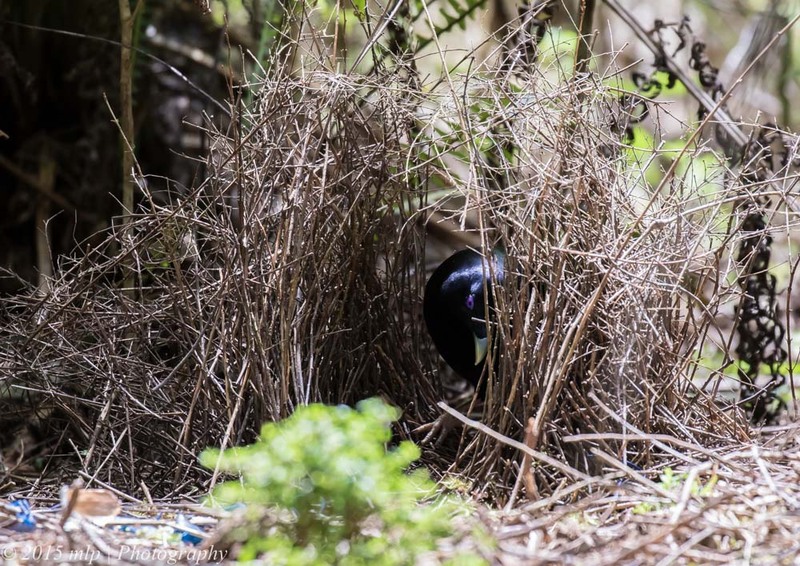 The bower area was probably from last year, the bower was being rebuilt and the blue objects collected by the Bowerbird for impressing the ladies were still covered by weeds and vines. Two days later I found the owner of the Bower moving his blue treasures about for the best placement, and working on his bower. 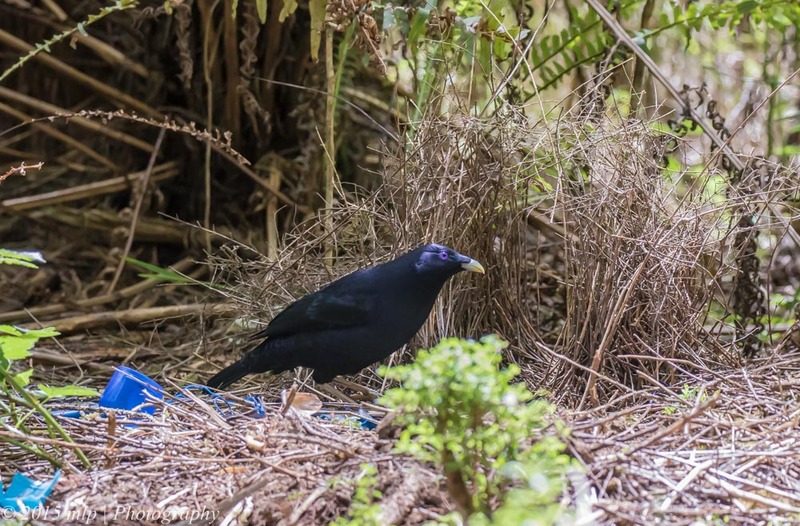 The Satin Bowerbird is a beautiful shiny black bird with amazing purple eyes. I had setup my camera and tripod about 10 metres away behind a large pine tree. 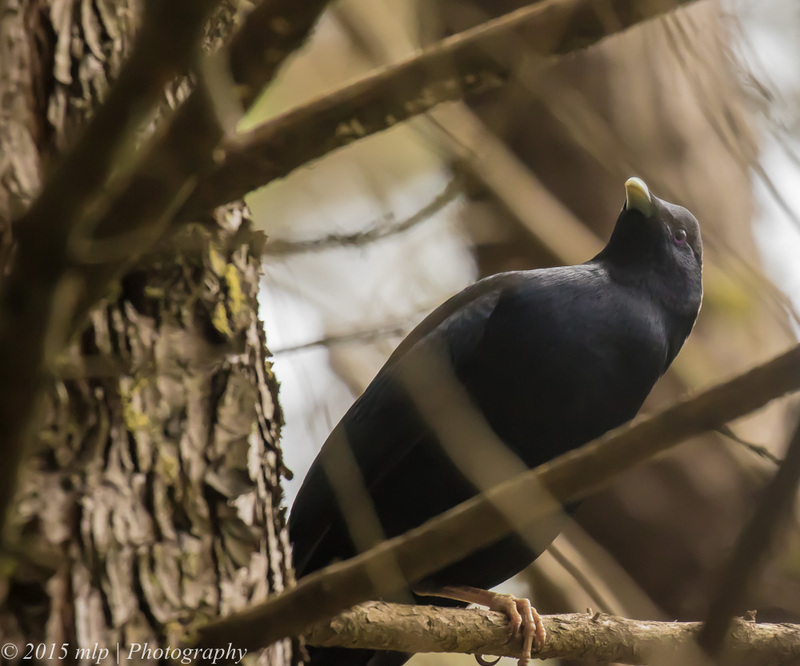 After a few minutes I lost sight of the Bowerbird and sat back to fight off the ants and mosquitos and realised that the bird was above me watching. He was assessing whether I should be avoided. He watched for a while and then decided I was harmless and went back to the bower to continue his work. (We all try to impress the ladies in our own way). 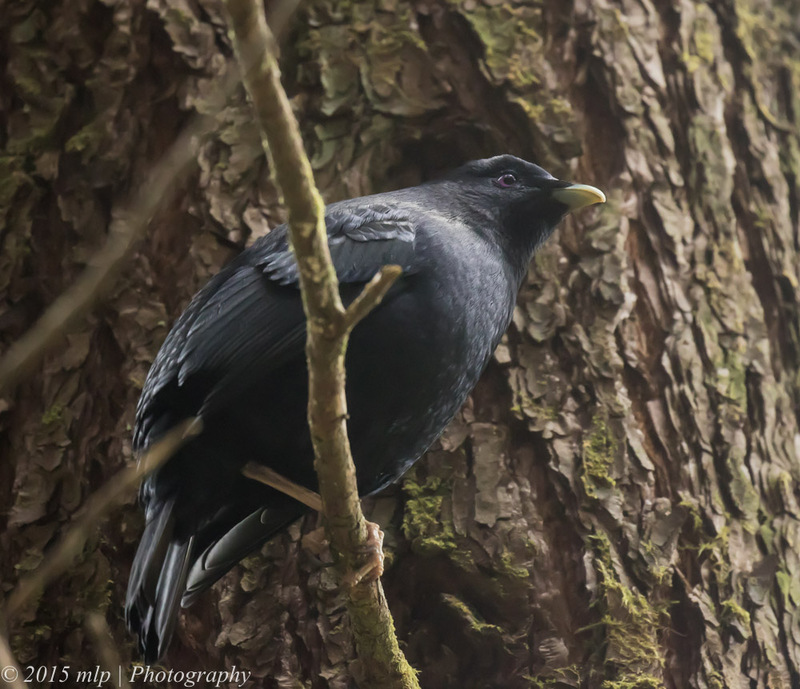 This entry was posted in Bird Behaviour, Birds, Victoria and tagged Australia, Australian Birds, Bird Photography, Bower, Great Otway National Park, Nature Photography, Photography, Satin Bowerbird, Stevenson Falls, Victoria. Bookmark the permalink. 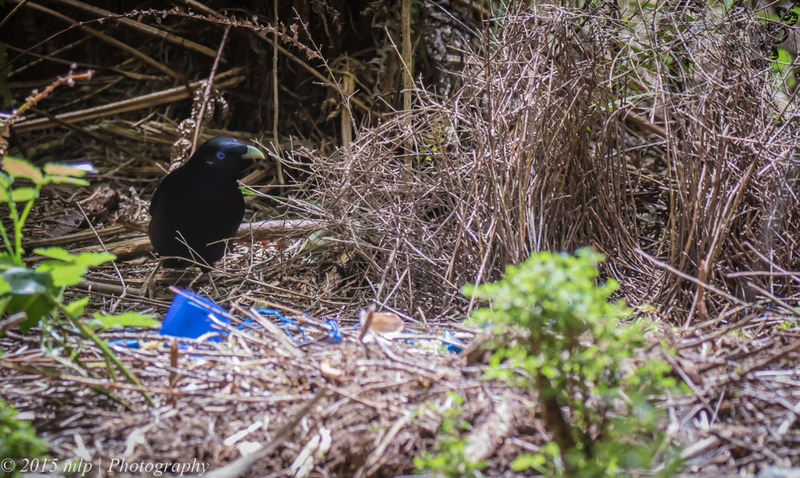 My favourite bower bird is the male regent! The Regent is a beautiful Bowerbird. We don’t get them down south, they are more a sub-tropical rainforest species.